After a drawn-out negotiation period, NBC and Megyn Kelly have formally agreed to part ways. The network and the onetime cable news star reached a final agreement on Friday, nearly three months after she wondered aloud on-air why it was inappropriate for white people to dress up in blackface for Halloween. NBC and a representative for Ms. Kelly declined to reveal the details of the exit package. But according to two people familiar with the negotiations, Ms. Kelly was paid the outstanding balance on her contract, a figure that amounts to roughly $30 million. At the time of the separation, Ms. Kelly was in the middle of a three-year, $69 million contract with the network. “The parties have resolved their differences, and Megyn Kelly is no longer an employee of NBC,” NBC News said in a statement Friday night. Ms. Kelly last appeared on NBC on Oct. 24, when she apologized for her remarks at the start of “Megyn Kelly Today,” as the 9 a.m. block of the “Today” show was called during her 13 months on the program. In the 11 weeks since, while a lawyer working on her behalf and NBC negotiated the terms of her exit, she earned roughly $5 million. The ratings for the third hour of “Today” have improved during her absence, rising to roughly 2.9 million viewers, from an average of 2.4 million, according to Nielsen. NBC hired Ms. Kelly away from Fox News two years ago. She drew big ratings at the conservative cable network, a key component of Rupert Murdoch’s media empire, as a sometimes prosecutorial prime-time host and achieved wider recognition during the 2016 presidential campaign. After making the move, Ms. Kelly, 48, was on a path to becoming a face of NBC. In addition to giving her a prominent slot on the “Today” show, the network made her the host of a new Sunday night news program. The plan also called for her to cover breaking news, politics and special events. But her time at NBC, which began on May 1, 2017, was bumpy from the start. On “Sunday Night With Megyn Kelly,” a show meant to challenge CBS’s “60 Minutes,” Ms. Kelly faced off against President Vladimir V. Putin of Russia in an interview that was widely criticized. And she became the scourge of parents of children murdered in the Sandy Hook Elementary School shootings when she interviewed the conspiracy theorist Alex Jones, who had falsely claimed the killings were a hoax. When the time came for her to join “Today” in September 2017, she sometimes seemed out of her element in the lighter and brighter realm of morning television. The network had revamped Studio 6A at its 30 Rockefeller Plaza headquarters, installing roughly 100 seats so that “Megyn Kelly Today” would have its own cheering squad. But with sharp questions and comments, Ms. Kelly offended celebrity guests like Debra Messing and Jane Fonda. Of more importance to network executives, she delivered middling ratings. By the time one of NBC’s biggest events came around — the 2018 Winter Olympics in Pyeongchang, South Korea — Ms. Kelly was not among the correspondents sent to cover it. In May 2018, during the network’s annual presentation to advertisers known as the upfronts, there was another sign that her stock was down at NBC. From the Radio City Music Hall stage, the late-night host Seth Meyers mentioned the network’s broadcast of “Jesus Christ Superstar,” with John Legend in the lead role, before remarking: “You know a network has some range when they have a black Jesus and Megyn Kelly.” The joke was a reference Ms. Kelly’s much-criticized statements, made during a 2013 segment on Fox News, that Santa Claus and Jesus were white. What followed was a segment out of the Fox News playbook: a round-table discussion of how multiculturalism was supposedly affecting the celebration of a national holiday. Those remarks were the last straw for NBC. Ms. Kelly offered an on-air apology the next morning. She also hosted a segment featuring two black panelists, Roland Martin and Amy Holmes, who explained the history of blackface, a demeaning practice with a history going back to 19th-century minstrel shows. By that time, Ms. Kelly no longer had the support of the network or her fellow “Today” hosts, with her colleagues Al Roker and Craig Melvin having criticized her on the air earlier that morning. At a staff meeting hours later, Andrew Lack, the chairman of NBC News, condemned Ms. Kelly’s remarks and made no mention of her apology. A number of guests scheduled for episodes of “Megyn Kelly Today” — as varied as the director Ron Howard and a Bergen County, N.J., medium named Craig McManus — pulled out of their appearances. NBC canceled “Megyn Kelly Today” on Oct. 26. Since going off the air, Ms. Kelly has come to the conclusion that her “blackface” comments were used as a pretext to get rid of her, according to a person familiar with her thinking. She has also kept up a social media presence, posting on her Twitter account a Politico column that defended the Fox News anchor Tucker Carlson from an advertising boycott. “Today” moved on without her. On Monday, a “Today” meteorologist, Dylan Dreyer, announced she would be a regular host of the third hour alongside Mr. Melvin, Mr. Roker and Sheinelle Jones. In the time since Ms. Kelly has been off the air, viewership totals for the hour have gone up 18 percent. Ms. Kelly’s former home, Studio 6A, has gone dark. Ms. Kelly grew up near Albany and worked as a corporate lawyer in Chicago before zeroing in on television. On a 2015 episode of her Fox News show, “The Kelly File,” she told the story of her career switch to her guest, Dr. Phil McGraw, the television host. As she explained it, she was watching him on an episode of “Oprah” in the early 2000s when she heard him say something that struck her: “The only difference between you and someone you envy is that you settle for less.” She left the law firm for an on-air job at an ABC affiliate. Not long after that, she joined Fox News, where she worked for 12 years. With her Fox News contract set to expire in 2017, NBC was one of several suitors. After signing the multiyear deal with the network, Ms. Kelly said a morning slot would give her the chance to host a “fun and uplifting” show, while also allowing her to have dinner with her children. 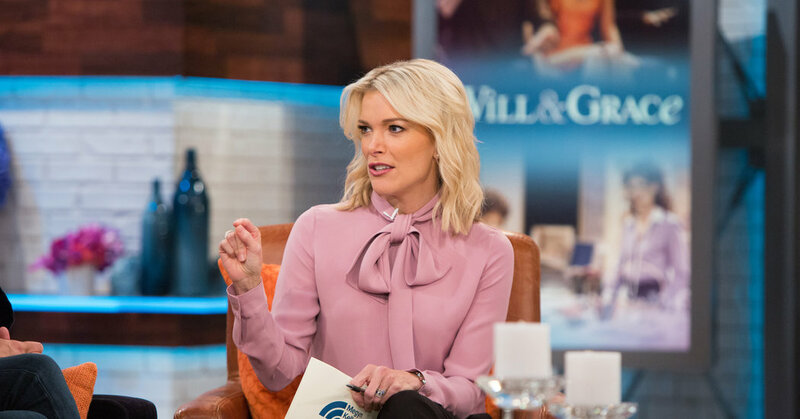 As it evolved, however, “Megyn Kelly Today” was a stew of celebrity gossip, gritty crime stories, sexual misconduct discussions and cooking segments. The network television audience at that hour is more diverse than Fox News’s older, largely white viewership. And Ms. Kelly had trouble finding a sizable constituency among “Today” devotees. When NBC executives and Ms. Kelly’s lawyer started negotiating her departure, the man who had inspired her to go into television — Dr. Phil — signed a new deal with CBS Television Distribution that would keep him on the air through at least 2023.